Sixpenny Cleaning Service is here for you. We clean and maintain locations using the very best equipment and cleaning products. We conduct our business honestly with integrity. We take pride in what we do and back our work with satisfaction guarantees. We are quality, experienced, honest cleaners for your home or office. No job is too big or too small. Let us get your home sparkling clean. Don’t trust your cleaning needs with anyone else. Trust Sixpenny Cleaning Service of Woodbridge VA! 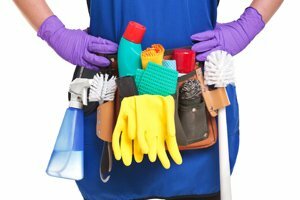 Keep your home or business clean with a professional cleaning service from Sixpenny Cleaning Service in Woodbridge VA. Our cleaning experts have the perfect service for your home or business. Our company is a biblically based family business, will provide you an honest relationship by putting our customer first over profit. Our trained staff is ready and waiting to serve you and are happy to answer any questions you may have. So call Sixpenny Cleaning Service of Woodbridge VA today for a free estimate or set-up appointment online. We are quality, experienced, honest cleaners for your home or office.